A Colorado Dude Ranch rekindles the spirit of the Old West, while offering you the modern luxuries and comforts of home that early explorers and old cowboys could never have dreamt. You will be put in touch with the perfect all-inclusive Western dude ranch vacation — and in touch with the person you always wanted to be. Whether you are a novice horseman or an experienced rider, a Colorado guest ranches have a ride and a horse to fit your style. 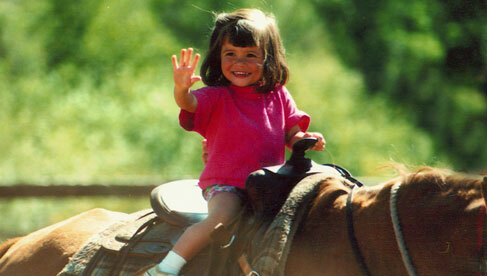 The horses are well trained and well cared for which leaves you to simply enjoy the experience! It’s no problem if the closest thing you’ve had to ‘horse interaction’ recently was reading Black Beauty to the kids. The experienced wranglers are there to make sure you are well prepared to ride before that foot even goes in the stirrup. 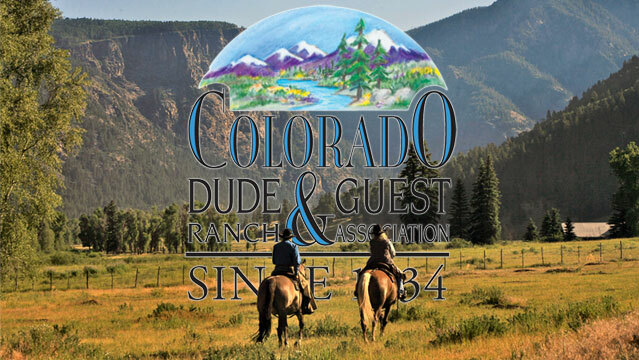 Dude ranches in Colorado specialize in providing great instruction, and teaching guests how to work with their horse, not just stay on the horse. Colorado Guest Ranches would make a cowboy wager that by the end of the week you leave a stronger and more confident rider than when you came. So whether you want to simply enjoy a variety of scenic walking rides, find a fun ride for beginners or challenge your new skills on faster rides there is a ride for you! Experienced riders out there are not forgotten. If you’re looking for some challenging mountain terrain, fast rides, cattle drives, barrel racing, pole bending, and several other new challenges, then there is a ride with your name on it as well! The wranglers make sure your horse fits your riding level and experience. You will have the opportunity to ride with others at your riding level throughout the week as well as a variety of family rides so the little buckaroos can show off their new skills for mom and dad. 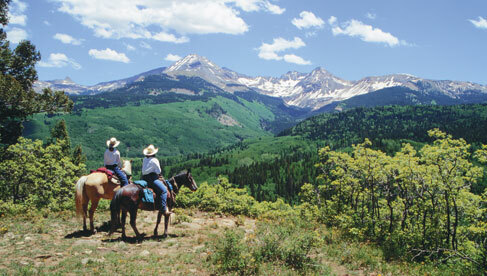 So come on down to the coral this summer and fall in love with riding in the Rockies on a Colorado ranch vacation! Life on the ranch is anything but rough on a Colorado dude ranch vacation. Whether you prefer individual cabins or spacious lodge rooms each ranch has a variety of clean & comfortable accommodations to offer. You’ll find comfy beds, charming western décor and all the amenities you’d expect at a fine hotel. Along with all the modern conveniences you’ll get lots of rustic and even historic charm. Antique quilts and comforters, vintage dressers and old poster beds. It wouldn’t be much of a western experience otherwise. 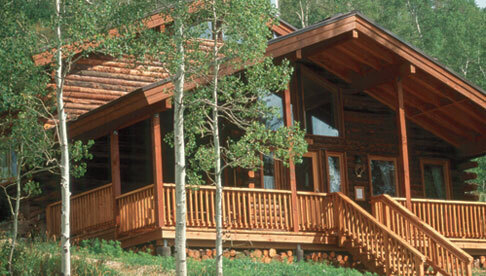 From rustic to ritzy, you’ll find it all on Colorado ranch vacations! 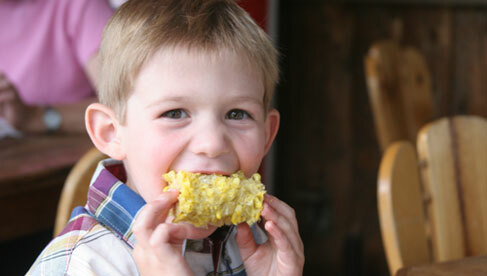 Ranches have come a long way since the days of cornbread and beans. The menus have expanded considerably to include just about everything you can imagine. “Cookies” have evolved into classically trained chefs, serving gourmet dishes and healthy alternatives, along side all the old camp classics. Many of the ranches use local produce in many of their main dishes to give you a feel of what Colorado Cuisine really has to offer. 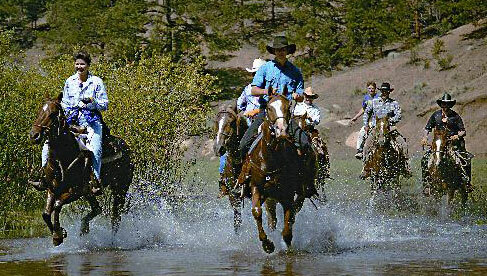 Many guest ranches in Colorado offer river rafting as an activity off the ranch with an experienced outfitter. This is an action packed activity that both kids and adults will look forward to. 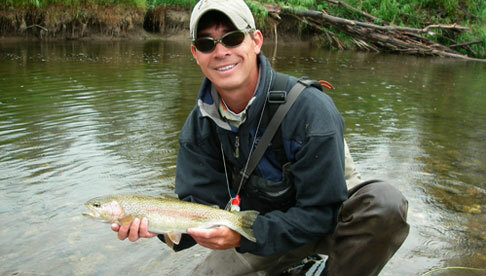 You may also find that a trip to a local hot springs or old gold mine makes for a fantastic nearby excursion. For those who have a passion for shopping, explore one of the many mountain shopping centers. Golfers will be pleased to find that the pristine greens are not too far from Colorado guest ranches in most cases. Airport, Grand Junction Airport, & Alamosa Airport. 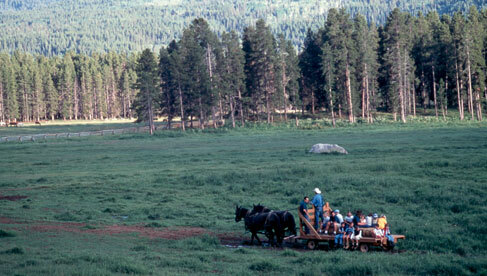 Most ranches are open late May-September. 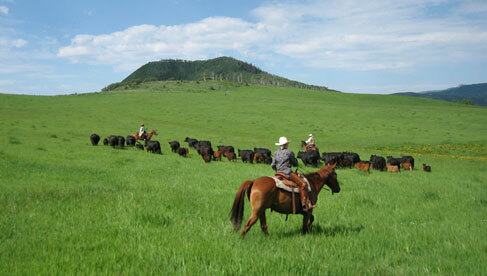 A few ranches are open year round. 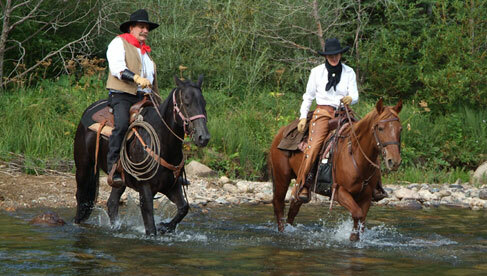 Our ranches range from 15-105 guests at the ranch per week. The average is about 30-40 guests per week. $1625-$3500 per adult for a 6-7 night ALL INCLUSIVE stay. *Rates listed represent a typical adult (per person) weeklong stay during the peak summer season. It is based on double occupancy accommodations and includes meals, activities, and gratuity and/or service charges. Actual rates may vary slightly and children’s rates are typically available. 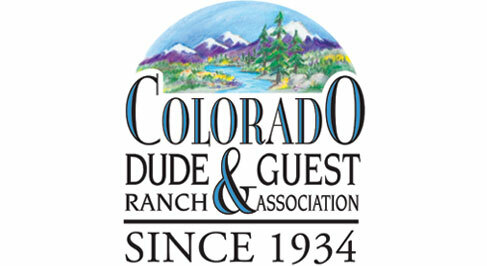 All ranches accept cash & checks, and most accept major credit cards. Check out more rates and ranches.